We live in a time where aviation and IoT are intrinsically entwined. From smart gates security to sensors measuring the journey of passengers throughout a terminal to connected robotic luggage. There’s also the IoT behind the scenes in transport operations, plane maintenance, food services and security. Technology certainly improves the passenger experience. Once aboard we can enjoy in-flight entertainment, Wi-Fi on some airlines, and the benefits of bringing the latest noise-canceling headphones. But in reality there’s a certain inevitable pain in any long-distance flights, keenly felt by those of us without the budget to enjoy the pointy end of the plane. As flight prices drop and airlines seek ways to gradually increase the plane population through smaller seats, shrinking headspace and patents for standing “seats” on planes, clearly something has to give. British Airways has recently put forth a patent titled “Travel Environment Control.” The underlying premise behind the patent application is to utilize sensor tech to create a system “that facilitates greater efficiencies within the aircraft travel environment and enables improved control and personalization of the passenger’s travel environment, in particular for enhanced passenger wellness and wellbeing when flying.” Data is collected via a series of sensors and would be used to provide a detailed well-being travel plan for each passenger. Plane cabins would be embedded with sensors to determine the environmental conditions in the vicinity of the passenger such as the lighting, as well as to provide automated actions including seat adjustment and a lighting schedule, presumably to dim the lights at required times and ensure that seats are upright during meal times. In response, the flight staff would be able to provide water if the passenger is dehydrated, a blanket if their body temperature is too low, and do not disturb or wake up for a scheduled meal according to the passenger’s sleep phase. No longer would you need to utilize the call button to get your needs met. 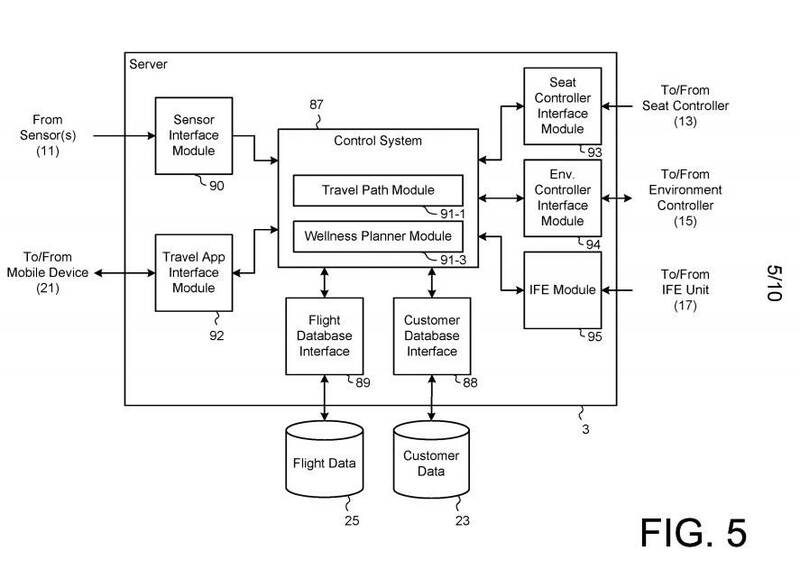 The sensor data would be connected to a travel app that details the passengers’ flight details and corresponding transport and accommodation bookings and could initiate any changing requirements, from booking a new forwarding flight to notifying contact people of a late arrival or suggesting adjustments to the passenger’s itinerary depending on their level of jetlag. 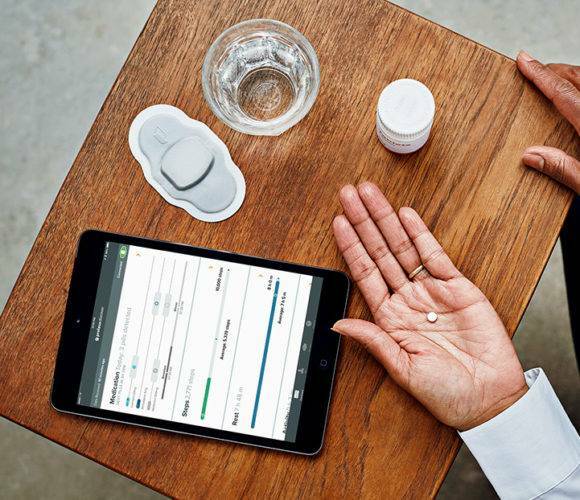 Sensor connected pills were deployed for the first time this year for patients with uncontrolled and co-morbid hypertension. They were developed by Proteus Digital Health as an example of “Medicine as a Service” including drugs that communicate when they’ve been taken, wearable sensors that capture physiologic response, applications that support patient activation, physician decision making, and data analytics to serve the needs of health systems. The FDA-cleared ingestible sensor, which is the size of a grain of sand, is placed in a capsule with the patient’s prescribed medications by a pharmacist, based on a healthcare provider’s prescription. 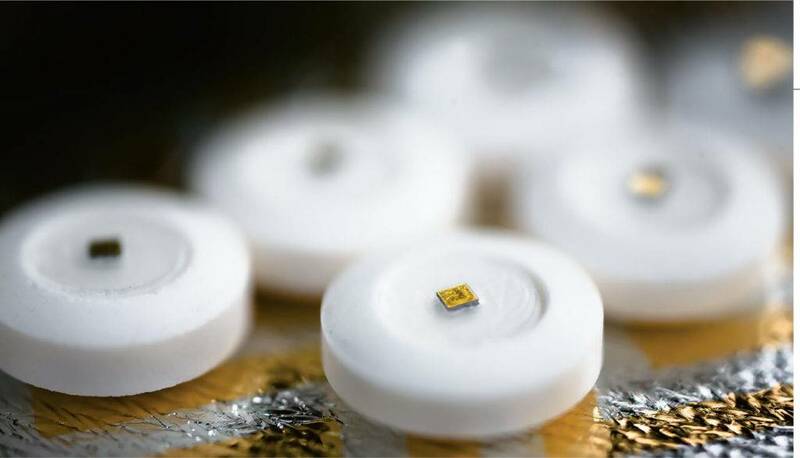 When a patient takes the co-encapsulated medication, the ingestible sensor sends a signal to the small wearable patch, which records the time each pill is swallowed and also collects physiologic metrics such as heart rate, physical activity, and rest. Notably the company failed to receive FDA clearance in April this year for their collaborative efforts to combine Otsuka’s ABILIFY (aripiprazole), an atypical antipsychotic, with the FDA-cleared Proteus ingestible sensor embedded in a single tablet at the point of manufacture. The proposal was submitted as a system that measures medication adherence to aripiprazole to be indicated for the treatment of schizophrenia, as an acute treatment of manic and mixed episodes associated with Bipolar I Disorder and as an adjunctive treatment for Major Depressive Disorder. The FDA has requested further data on the performance of the product under the specific conditions in which it is likely to be used, as well as further investigations to evaluate use-related risks and confirm that users can use the device safely and effectively. Back to our airplane flight, it’s easy to question the justification for flight staff accessing the physiological data of passengers. In reality, for those of us in economy, a blanket and a bit of a walk around the plane will not do all that much to increase our comfort levels and prevent jetlag. Could future sensors also include ones to track sleeping pill and alcohol intake, the panacea of long haul flights for many? It also opens issues about what flight data is recorded in the future and with whom it is shared; it’s foreseeable personal biometric information could find its way in the hands of airport security. 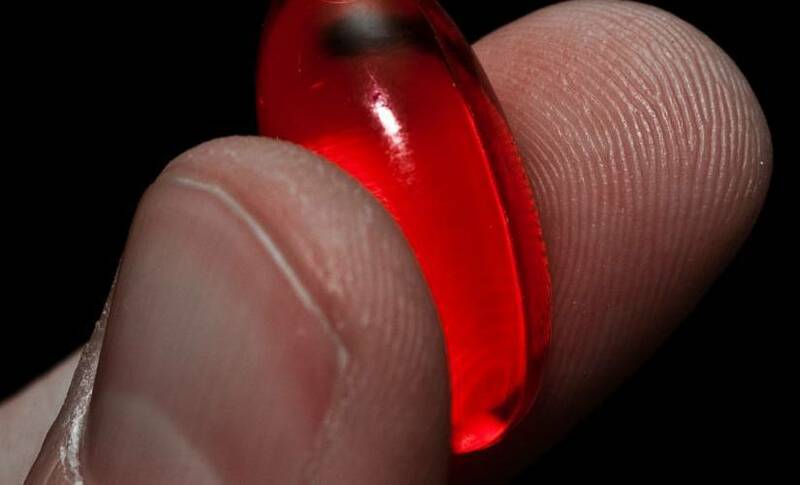 And let’s be honest, how many passengers would consent to swallow a digital pill during a flight, particularly if the connected costs are added to their flight expenses? It’s questionable how much the passengers would benefit.